The latest entry in the longest running toys-to-life franchise is Skylanders Imaginators. Every title has had "its own thing;" SuperChargers introduced vehicles, Trap Team let you capture enemies, and Swap Force involved mixing-and-matching the figures. With Imaginators, you'll be able to design and play your own Skylander in-game. When you place the new "Creation Crystal" toy onto the new Portal of Power, you'll be taken into a series of character creation menus that let you pick you Skylander's Battle Class (e.g., Knight, Sorcerer, Bowslinger) that affect the character's abilities, its appearance and catchphrases, and its powers. All of this gets saved to the crystal so you can use that creation over and over again. Each crystal is single-use only, however, and is also of a particular element type, i.e., fire, water. So if you want to make a Fire Knight and a Fire Sorcerer, you'll have to buy two Fire-type Creation Crystals. To go along with these user-created Skylanders (called "Imaginators"), there are Senseis. Each Sensei character is the master of a particular Battle Class. Pairing up Senseis and Imaginators that share the same Battle Class will unlock new weapons and abilities for the Imaginator, and open up new areas to explore. There are a total of 20 new characters and 11 returning villains that will comprise the Senseis, including one particular character that should be familiar to PlayStation fans. As revealed during the Sony E3 press conference, anyone who picks up the special $100 edition of the game for either the PlayStation 4 or Playstation 3 will get an exclusive (at launch) Crash Bandicoot figure. 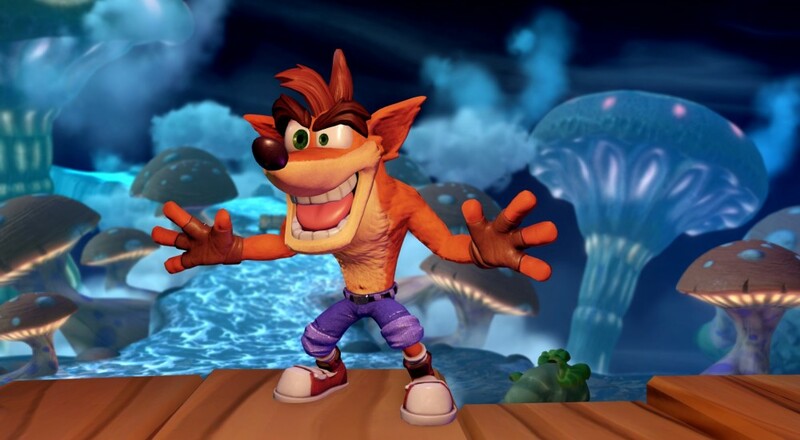 Crash will have his own set of appropriately themed powers and will work across platforms. As with previous Skylanders titles, the game will support two player couch co-op throughout the campaign. Players will be able to place two Creation Crystals, two Sensei figures, two toys, or some combination thereof on the Portal, and play as the characters in-game. Imaginators will support figures from all previous Skylanders games so you can enjoy the new adventure with your favorite characters from the past. Skylanders Imaginators will be released in North America on October 16, 2016 for the Playstation 3, PlayStation 4, Xbox 360, Xbox One, and Nintendo Wii U. The Standard Edition, which includes the game, two Sensei figures, a Creation Crystal, and a Portal of Power, will retail for $74.99. The Standard Edition Featuring Crash Bandicoot (Playstation 3 and PlayStation 4 only) includes all of the items mentioned previously along with a Crash Bandicoot figure, and will retail for $99.99. Page created in 1.2696 seconds.